Passionella Davenport has been unwilling to risk her heart since her husband Fletcher, an off-Broadway director, confessed his preference for men. Now, ten years later, she is about to get a second chance at life and love in the unlikeliest of places. Divorced, unemployed, and running out of money, she journeys to rural Newbridge, Connecticut, to house sit Fletcher's boyhood home-and falls hard for Jeff Woodrow, a local woodworker and weekend musician. In every way, Jeff is the opposite of Fletcher-masculine, rugged, handy-and when he grabs her in a passionate embrace, she feels wanted. But there's a problem. Jeff's ex-wife Julie is Passionella's new next-door neighbor and new best friend. And one thing is becoming inconveniently clear: Julie is just not ready to let Jeff go. As Passionella gets entangled in an increasingly complex love triangle, she must ask herself: Is Jeff the life partner she has been secretly longing for, or just another Mr. Almost Right? 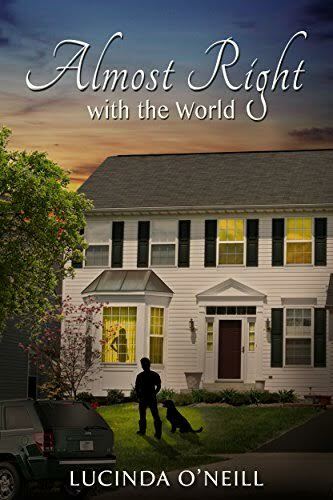 Hilarious and heartbreaking by turns, Almost Right with the World is a wry look at the limits of friendship, the bonds that survive divorce, and the lies we tell each other and ourselves in our love relationships.